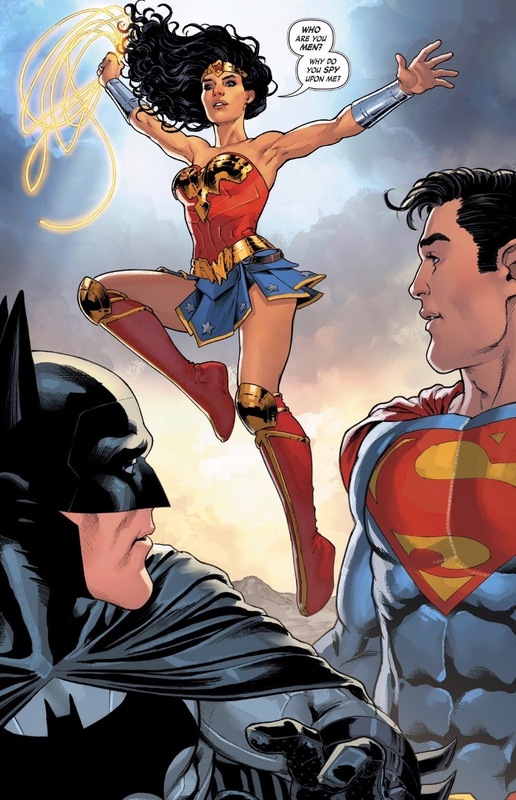 She's Fantastic: DC Multiverse - WONDER WOMAN (REBIRTH)! 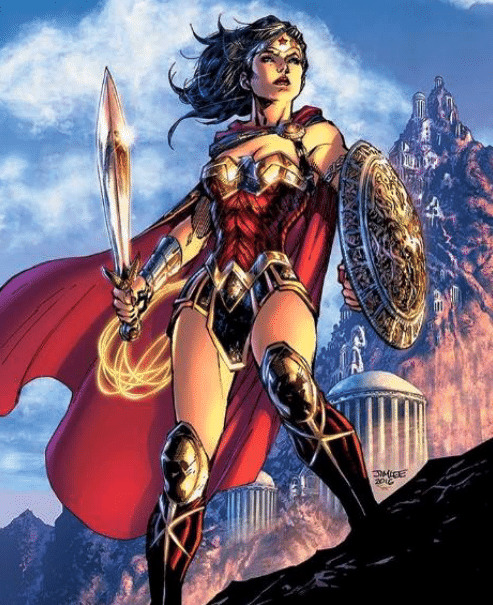 DC Multiverse - WONDER WOMAN (REBIRTH)! Jim Lee is one of the most iconic comic artists of my generation. My middle school, high school, and early college years were in the 1990s and his impact on that decade was undeniable. His X-Men run alone would have immortalized him in the Pantheon of all-time greats, but in addition he had excellent work on Punisher, WildCATs, Heroes Reborn, Deathblow, and Divine Right (among many others). But the interesting thing about really distinct illustrators is that more often than not, there styles do not translate well into 3-D. I have always felt that the most notorious case of this has been with Mr. Lee himself. The Hush figures were the best attempts, but they don't really look like his art. Neither did any of the DC Universe Online Statues, and honestly neither do these Rebirth action figures.It has nothing to do with the sculptors either. Literally the most talented names in the action figure market have attempted his style (Brucker, Palinko, and both Matthews!) but I'm beginning to think it's an impossible feat. This action figure is (mostly) great. The detail and articulation it top-notch (and it's such a shame that the license is moving away from Mattel just when they've really hit their groove). The only thing I don't like about this figure is the head. I really don't like anything about it. The hair is boring, the cheeks seem really round, the eyes are way too squinty, and the lips are sloppily painted. The funny thing is, it actually has all the tenets of Jim Lee's Rebirth Wonder Woman design, but like I mentioned above, it just doesn't translate well. 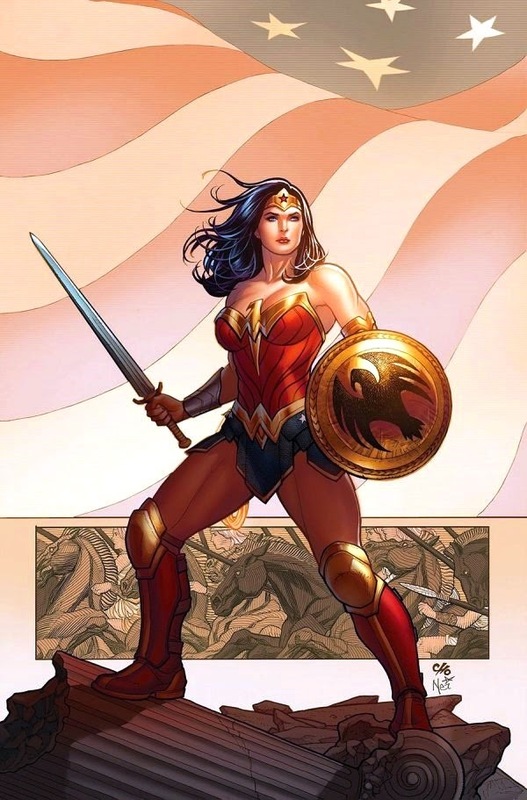 Wonder Woman comes with an alternate closed fist, a sword, and two lassos (coiled and uncoiled). Wonder Woman also comes with the Collect-n-Connect legs for Lex Luthor. 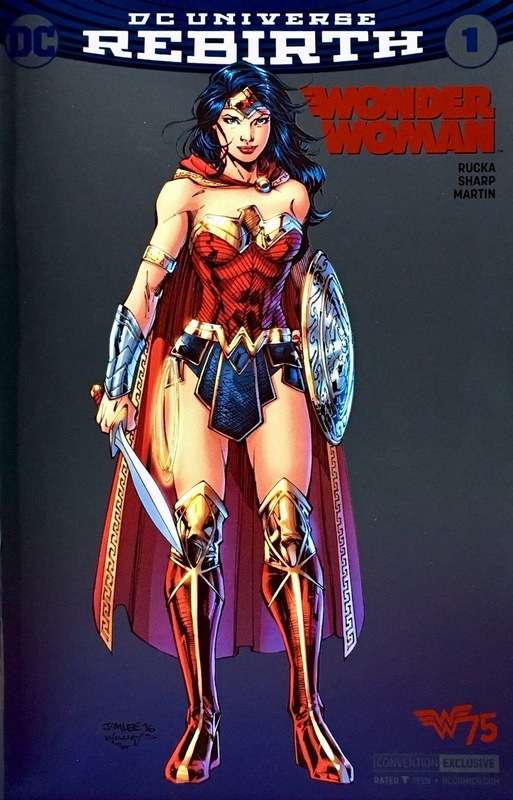 The following two images are drawn by Jim Lee. You can see the rounded face and the squinty eyes that the sculptor was going for. Also, these pics make me wish she had a cape! Here she is with the recent Lynda Carter Wonder Woman figure from Mattel. And here she is with my two favorite Multiverse figures from the last year: Spoiler and Batwoman. It is 2 bad DC is moving from Mattel- but they recycled bucks 4 waaaay 2 long. They should have rectified that long ago.